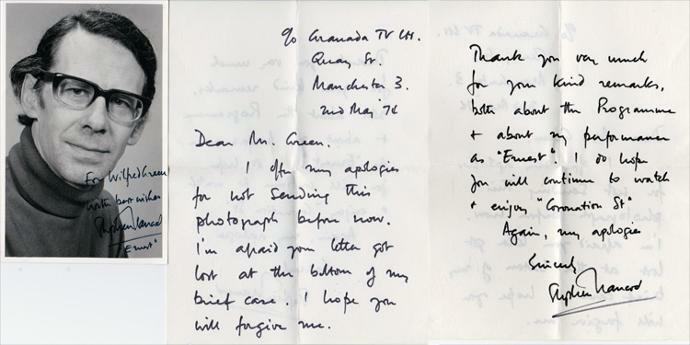 Hand-written and signed letter (dated 1967). 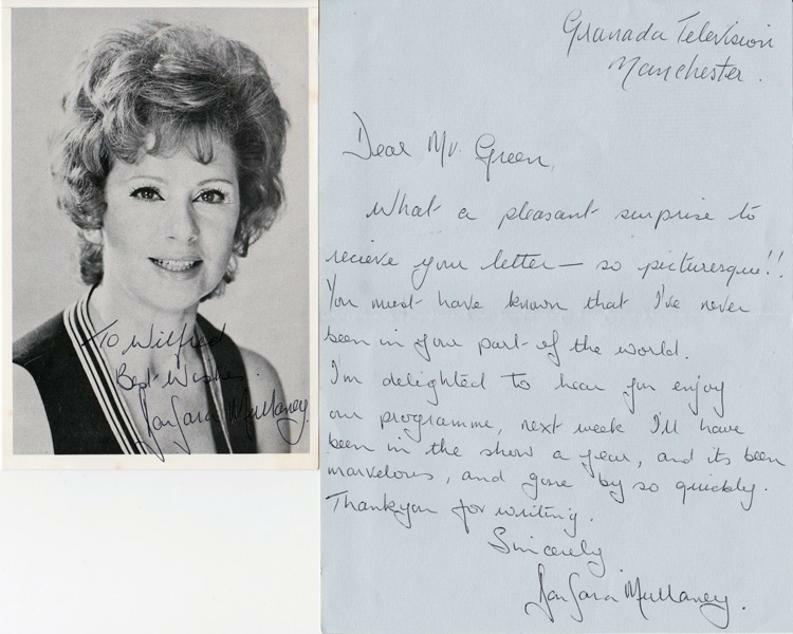 Hand-written letter signed Barbara Mullaney. 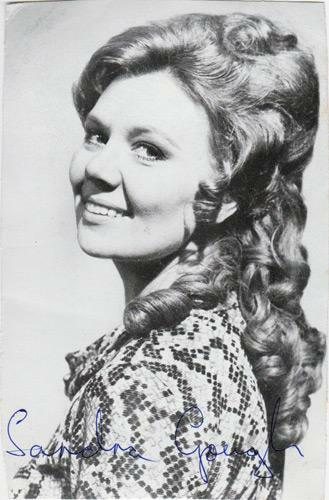 SANDRA GOUGH (Irma Ogden/Barlow) signed B&W publicity photo. 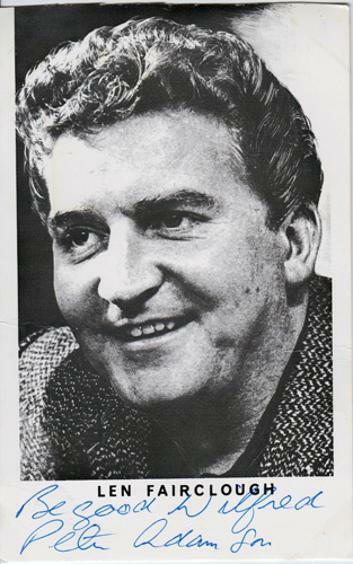 PETER ADAMSON (Len Fairclough) signed & dedicated B&W photo. 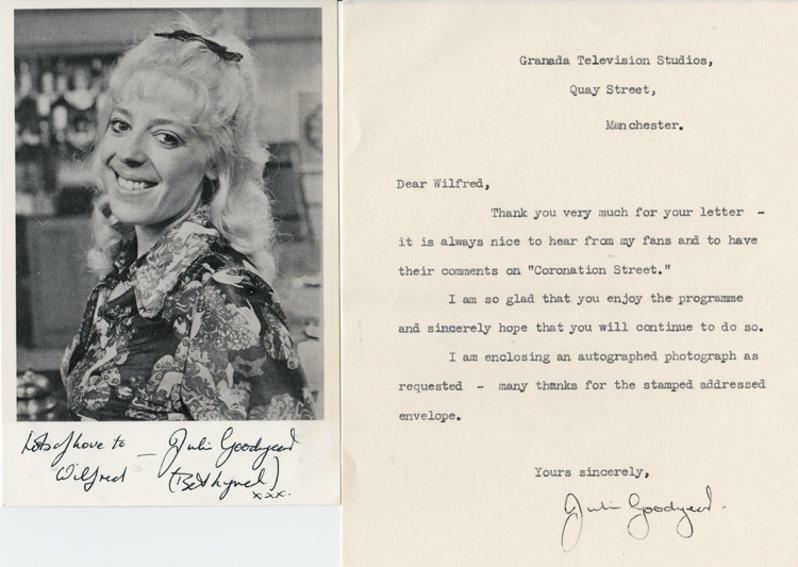 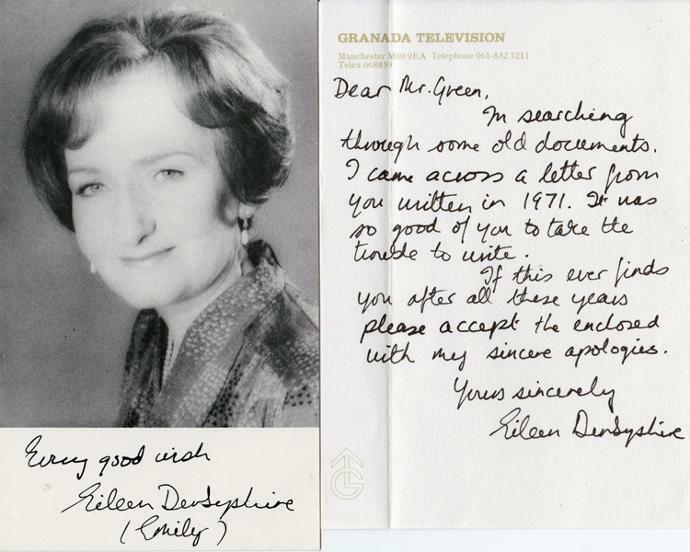 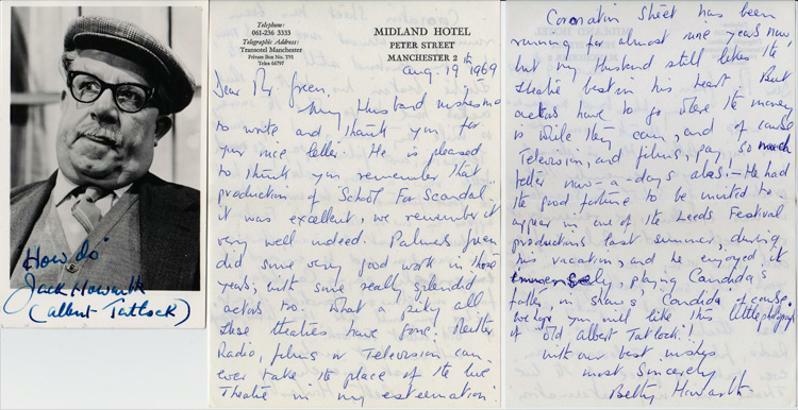 EILEEN DERBYSHIRE (Emily Bishop) signed B&W publicity photo + Hand-written & signed letter (on Granada TV letterhead. 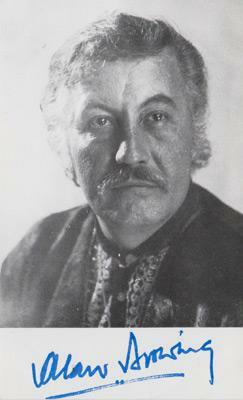 ALAN BROWNING (Alan Howard) signed B&W photo. 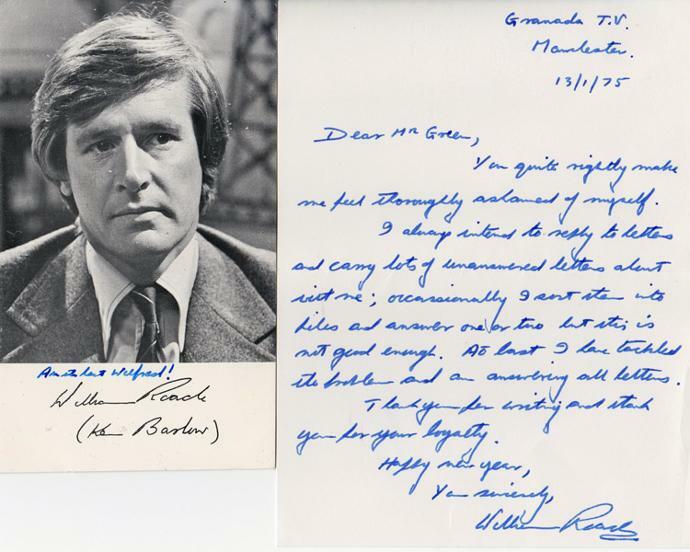 STEPHEN HANCOCK (Ernest Bishop) signed & dedicated B&W photo + Hand-written & signed letter (dated 1976). 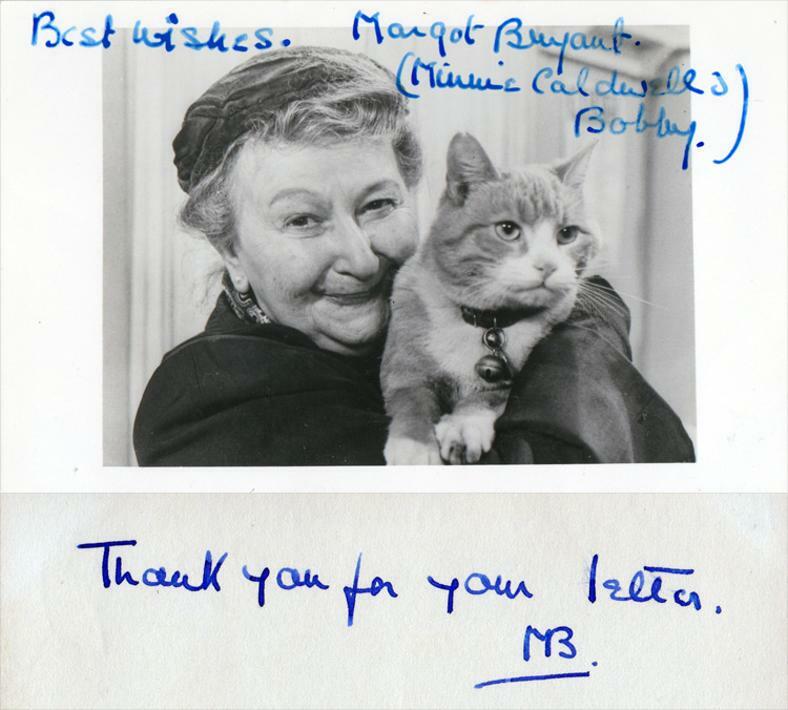 MARGOT BRYANT (Minnie Caldwell) signed B&W publicity photo (with Bobby the cat) + hand-written note on reverse. 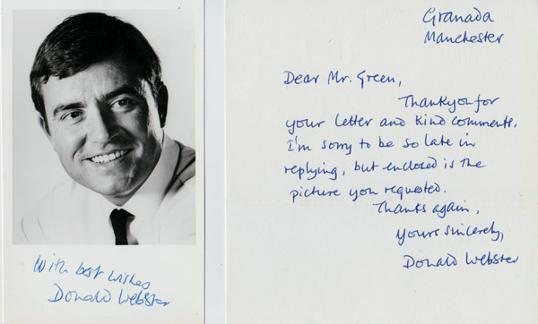 Hand-written & signed letter (dated 1975). 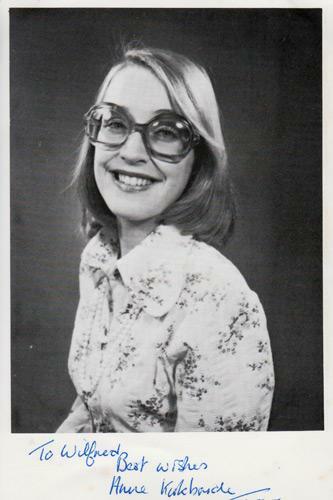 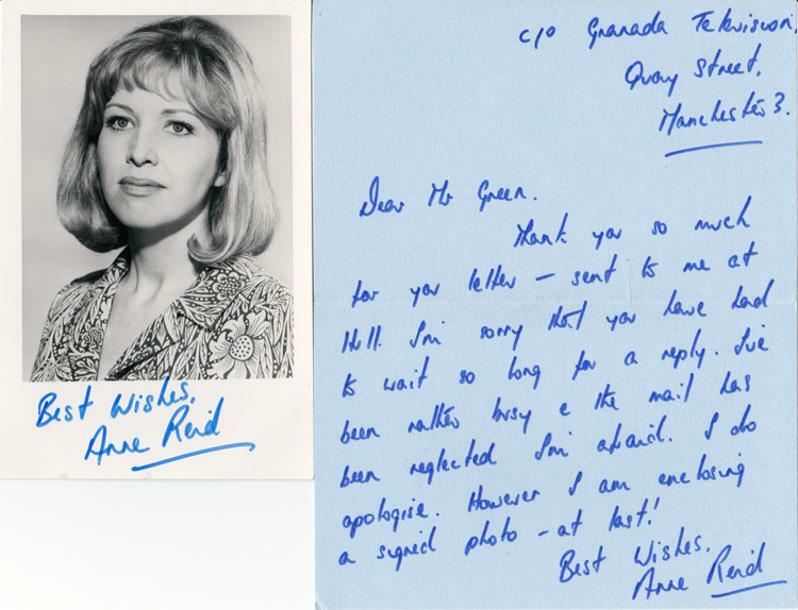 ANNE KIRKBRIDE (Deidre Barlow) signed & dedicated B&W publicity photo. 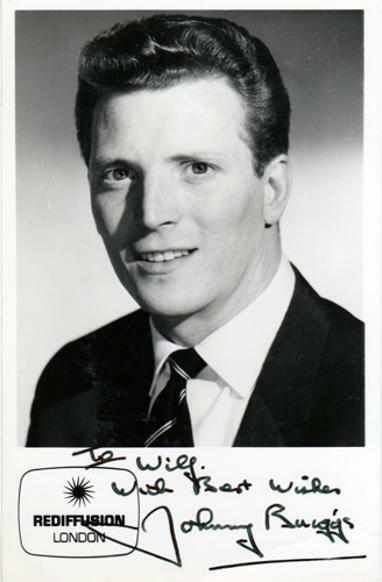 JOHNNY BRIGGS (Mike Baldwin) signed & dedicated Rediffusion publicity photo-card. 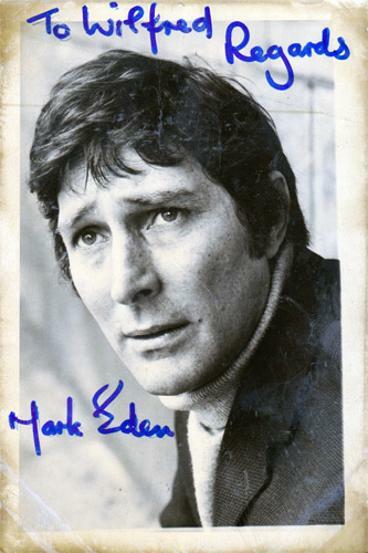 MARK EDEN (Alan Bradley) signed & dedicated B&W publicity photo. 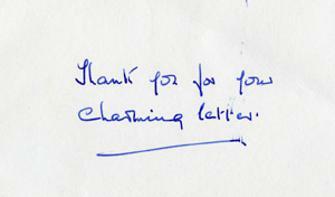 KYM MARSH (Michelle Connor) signed colour publicity photo. 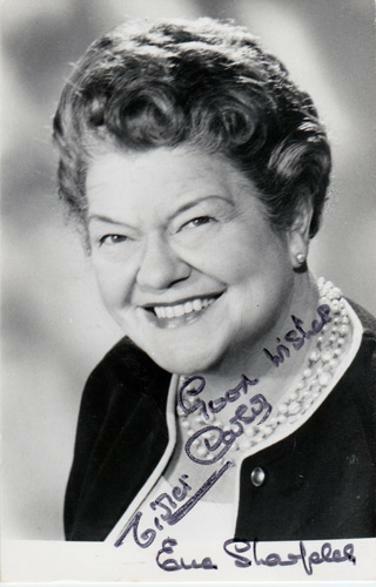 VIOLET CARSON (Ena Sharples) signed B&W publicity photo + Hand-written note ("Thanks for the charming letter") on reverse. 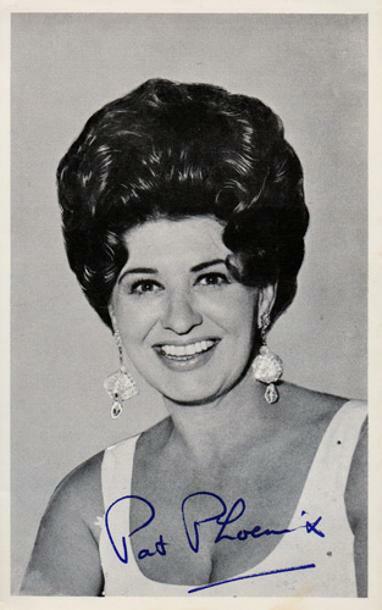 PAT PHOENIX (Elsie Tanner) signed B&W publicity photo. 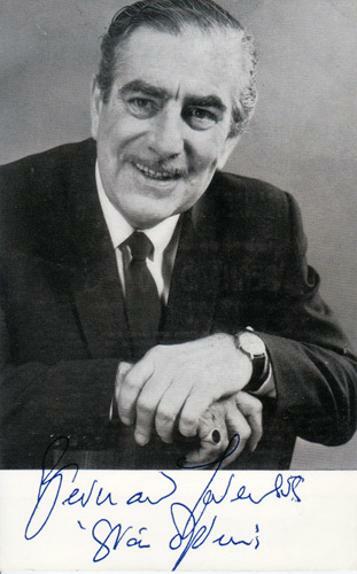 BERNARD YOUENS (Stan Ogden) signed B&W publicity photo. 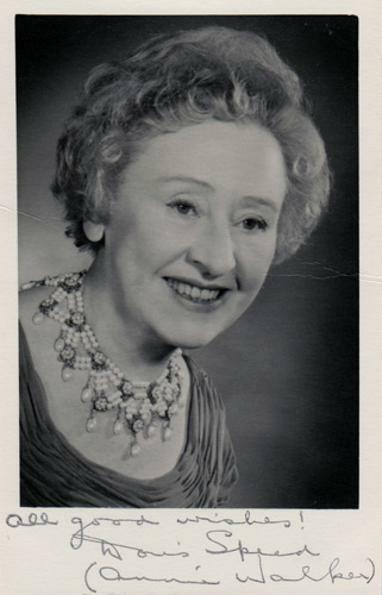 DORIS SPEED (Annie Walker) signed B&W publicity photo. 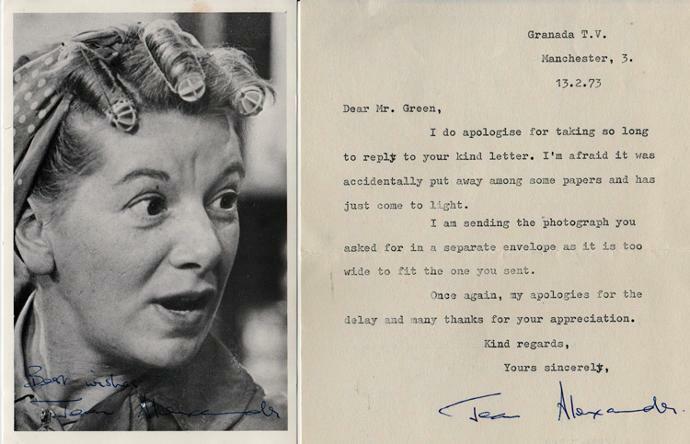 JACK HOWARTH (Albert Tatlock) signed B&W publicity photo + letter hand-written & signed by his wife Betty. 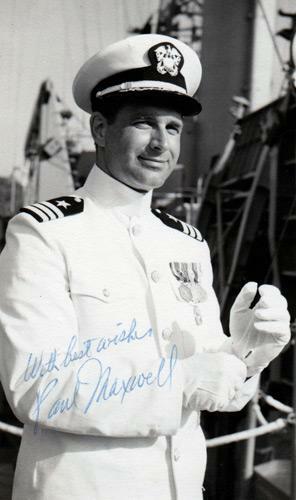 PAUL MAXWELL (Steve Tanner) signed B&W publicity photo. 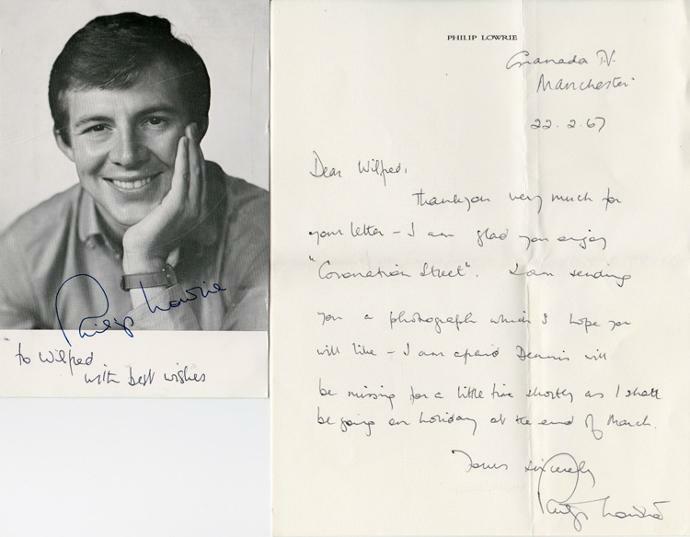 DONALD WEBSTER (Nobby Harris + two minor roles) signed B&W publicity photo + hand-written letter from Granada Studios, Manchester (undated).